The research project was granted to FMH by Research and Advocacy Fund (RAF) and implemented through FMH’s technical arm Nur Center for Research & Policy (NCRP). It is hoped that this research will make a convincing case for prioritizing and strengthening nutritional aspects of health and other public programs through the evidence produced. The project has been undertaken at a time when the provincial programs are working on their nutritional strategies hence, the findings shall provide policy guidelines. 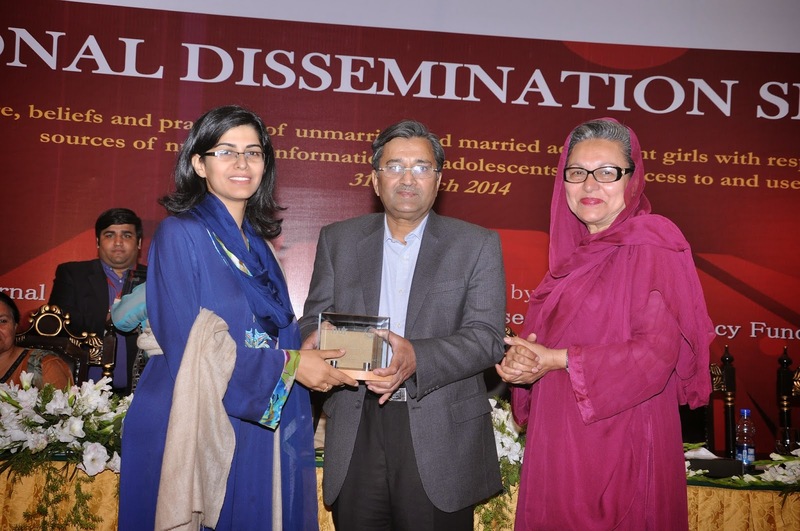 The national dissemination seminar served as a forum to review the research findings and challenges confronting Pakistan in improving the nutritional status of adolescent girls. Speaking at the National Dissemination Seminar, Shahima Rehman, Founder, President Nur Foundation and Chairperson Executive Committee Fatima Memorial Hospital said, “I am fully confident that the findings presented today have reached the right ears, and together we will be able to make focused and defined efforts towards improvement of social, financial and nutritional status of adolescent girls in Pakistan’. The Chief Guest at the seminar, Pervaiz Malik MNA and Advisor to the Chief Minister lauded the efforts of Fatima Memorial Hospital and said,’ Such evidence coming forth from private sector is of utmost significance to the government in designing future programs, rectifying the current programs and optimizing their efforts, targeting the marginalized’. In attendance were Mrs. Zakia Shahnawaz – Minister Population Welfare , Punjab, Ms. Rashida Yaqub – Parliamentary Secretary for women development, Dr. Syed Abdul Hassan Najmi - Secretary Law & Parliamentary Affairs, Mr. Ismail Qureshi – Rector, National School Public Policy, Prof. Humayun Maqsood- Principal FMH College of Medicine, Prof. Yaqoob Baig Mirza - Principal FMH College of Dentistry, Dr. Haroon Ihsan – Vice Chairman, Executive Committee Fatima Memorial System, Maha Rehman Founding Director and Technical Advisor, NUR Foundation amidst other known academicians, practitioners, advocators, legislators, development partners and public health professionals. NCRP is a policy think tank of Fatima Memorial Hospital that offers its services through a consortium of consultants and public health experts, who pool their strengths to offer capacity enhancement, research, technical assistance and policy advice across the health, education and social sectors.